It would have cost you $199,304 to buy all the RCM coin in 2016 (excluding the Kilogram issues). And Batman, Superman and the crew of the Enterprise have helped widen the market for the Royal Canadian Mint. 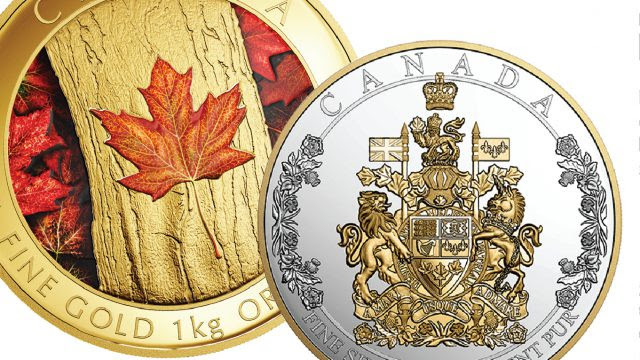 “In 2016, the Royal Canadian Mint offered 220 collector products, making up 284 coins, with the cost of acquiring one of every item totalling $529,162. Its the first time that number has crossed the half-a-million-dollar mark. The number of issues is down slightly from the previous year when the RCM offered 225 products, but the actual cost is up from last year’s $339,858. One reason for the difference is the addition of an additional one gold and two silver kilogram issues, and a general increased price of the popular one and two ounce silver coins. Collectors generally shun the low-mintage gold and silver kilogram series. The four gold and five silver kilogram coins issued in 2016 had a total cost of $329,858. In 2015, the RCM issued three gold kilogram coins and three silver kilogram issues with a total cost of $213,889. When the kilogram issues are removed, the cost of the remaining issues of 2016 comes in at $199,304—comparable but still higher than the $125,000 tallied for the previous year. The vast majority of the issues were silver coins in the $10 to $50 face value range. In fact 120 issues, more than half the total, fit in this popular category. In both cases the study did not include bullion issues, which are priced purely on the value of the metal and are considered investor rather than collector issues. The total face value of all the previous year’s issues reached a staggering $32,950, although a collector could reduce that amount if they wanted to avoid duplication. For instance there are several Proof sets and Uncirculated gift sets which only contain one unique coin, and the 50-cent piece is only sold in a roll of 25 coins.